Appearance: A deep, dark ruby. Nose: The nose is a bit warm though intriguing with aromas of spice enveloped raspberry, redcurrant ans sour black cherry along with hints of licorice, cocoa and brown sugar. 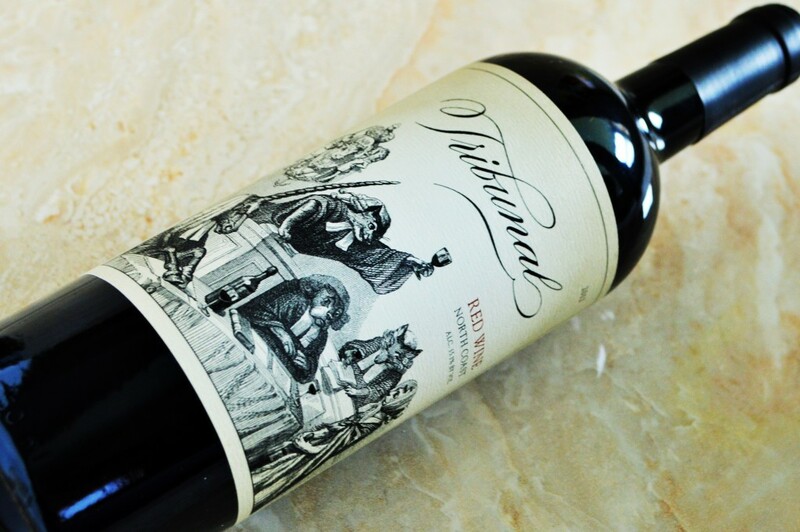 On the palate: The 2012 Tribunal Wine Red Blend opens with a medium to full-body and turns darker in the mouth. It delivers candied, bordering on syrupy flavors of black cherry and currants held together by cocoa and allspice. While it starts out with some redeeming qualities, it thins out quickly and finishes with harsh, unyielding dryness. Should you buy? 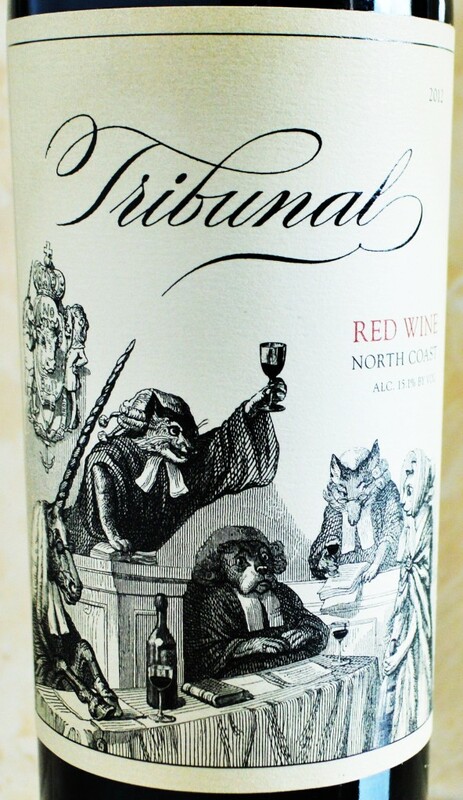 The Tribunal Wine Red Blend is a pass, at least in this 2012 vintage. There are better integrated, more polished offerings in the Trader Joe’s Wine Section. 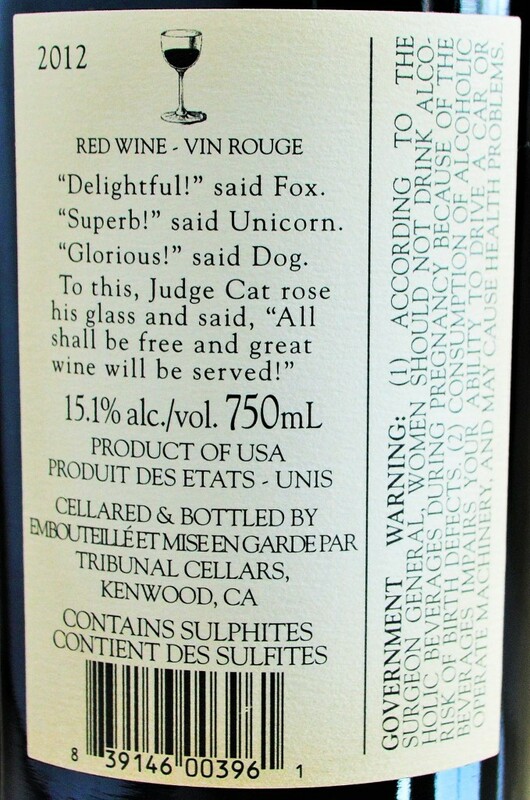 Well as they often say, you simply can’t win them all… I gave this wine 6 hours to breathe and mellow and and it was still a bit hot and aggressively drying. While it certainly isn’t altogether terrible, I believe most will find it to be disjointed and unbalanced. I would like to think that it could mellow and smooth out with age, but I believe it lacks the depth and structure to really improve much further. 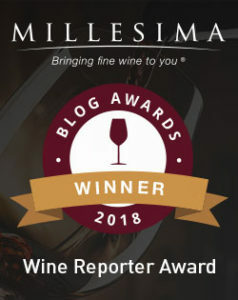 Wow, couldn’t disagree more on this one… I love his wine and have customers who are practically crying about the change in grapes used for the 2013 vintage (which I also like, but is totally different than the 2012). Neither tastes as good as the original vintage, which was made to taste like The Prisoner (by Orin Swift) but they continue to be fantastic wines for the money. Sorry you didn’t like it! I recall being pretty put off by this particular bottle, after it was highly recommended. Boozy and harsh if I remember. But maybe it was a rough vintage?